I’ve been the stay-at-home-mom and the full-time-working mom and I gotta say that both are equally hard and have kept me busy. No matter what kind of mom you are (or the mom you are shopping for), I’m sure you will find at least one (or two) items on this list that you or the mom in your life will love. If you’re a mom, share this post with loved ones that want to shower you with gifts! Here are 30 useful holiday gift ideas for busy moms! Before we dive into this list, I have to admit that everything below has been on my wishlist at some point in my life as a mom. If I was lucky enough to receive one of these gifts, I included on this list because I truly believe that busy moms will benefit from it. If you’re a mom like me, you might put your family’s needs over your own and feel guilty spending money on some of these things yourself. Well, it’s time to give back and spoil mom! A massage might seem pretty obvious but many people forget that a lot of moms want to pamper themselves. If the massage is at a day spa with other amenities then it’s even better! Give her a gift card or schedule an appointment for her at her favorite or a local massage center or spa. Download my free printable ornament gift card holders to present her gift in style! She probably has a few bath and body products that are her favorite. Mine are sugar scrubs, body butter, bath bombs and lip balm. You can make your own all-natural bath and body products or pick up a gift set with her favorite scent like these. Many moms don’t take the time to care for their nails – I’m one of them! Before kids, I managed to get my nails done regularly but now that I have kids I don’t have the time nor do I want to spend the money on getting my nails done. But there is something relaxing and stress-relieving about getting a manicure and pedicure. Grab a gift card at her favorite nail salon for an easy “experience” gift. Download my free printable ornament gift card holders to present her gift in style! Find out her favorite makeup and get her (or make her) a kit. Most brands have several makeup packages/kits available during the holidays but if you can’t find her favorite, make your own kit by putting her favorites in a basket. 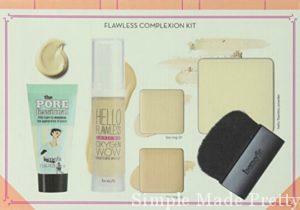 One of my favorites as a busy mom is Benefit’s How to Look the Best at Everything kit. I also love Benefit’s Fake Up concealer to hide my tired (mom) eyes! Good makeup can be expensive so this gift will be appreciated. I don’t know about other moms but I tend to wear yoga pants and tank tops as pajamas. However, it would be amazing to have a really nice pair of PJs. Not lingerie… but comfy and cute PJs. You can find sets pretty much everywhere during the holidays, just make sure they are good quality too last her 🙂 Here are some Flannel PJ’s, Knit PJ’s, and Satin PJ’s. One of the best gifts I bought for myself when I was single was a comfy white terry-cloth bathrobe. I found mine at Victoria’s Secret on clearance for $5 over 10 years ago (you will never find a deal like that today!). I still have that robe and because it’s white, I can bleach it and it still looks and feels great! My bathrobe is a size bigger than I wear but that just makes it feel like a spa or hotel bathrobe. I don’t “hang out” in my bathrobe but I’m sure there are moms that would love to spend a lazy Saturday hanging out in her bathrobe. Try this bathrobe for durability, comfort and style. Evey busy mom needs to stay organized and you can’t always count on electronic planners. 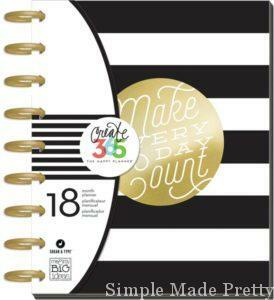 Bullet journals have been quite popular this past year and you can find day planners made specifically for moms. Help her stay organized and manage her time with an awesome day planner like this one or bullet journal like this one. I can’t live without our whiteboard calendars in our command center. It helps our entire family stay on track and gives a complete view of the next two months (we have 2 of these calendars side by side). Any busy mom would appreciate this thoughtful gift. As a busy mom, I don’t have time to read but having an Audible subscription allows me to listen to books while on-the-go. When I was working full-time, I listened to books on my commute to and from work and now that I stay at home, I listen to books while in the school pick up line or while doing household chores. You can download the Audible App to any mobile devices or listen to it from an Amazon Echo (another suggested gift below!). Download Audible HERE and get it FREE for 30 days! I love giving photo books to grandma and we create our own family photo books every year. It’s very time consuming to design a photo book so why not do it for her? Shutterfly is a great place to start. Or try a subscription to GroveBook – they auto upload all your photos from your phone and make a book for you and you get your first book FREE. I love receiving personalized items (and giving them to my mom). Check out Shutterfly and Tiny Prints for some ideas. Make a coffee mug, personalized bag or ornament to give to the busy mom in your life. Women love it when their house smells good and essential oils have many other uses (see my post with 15 Incredibly Useful Supplies for Essential Oil Beginners or grab my free printable eBook with 5 skin care solutions you can make using essential oils). 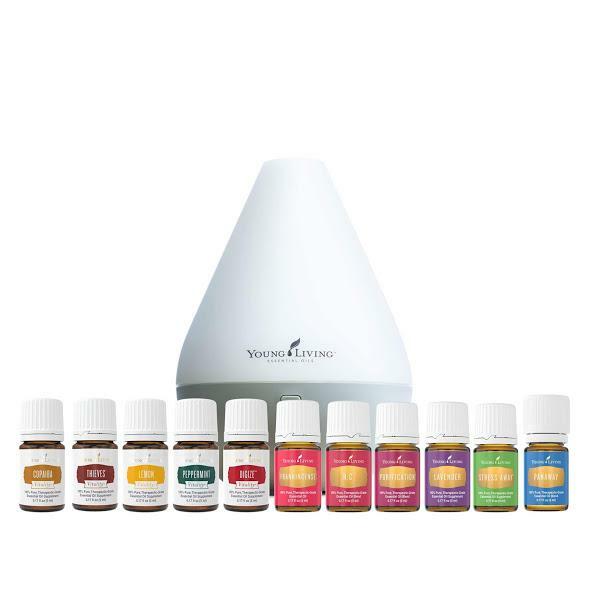 I only use Young Living Essential Oils and you can get a starter kit HERE! If she likes wine, she will love a bottle (or more) of her favorite wine. Better yet, give her a wine subscription. 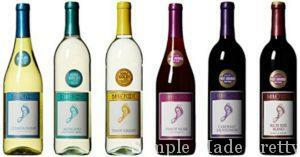 You can join a wine club or find out if your local winery offers one. Or take her on a date to your local winery! 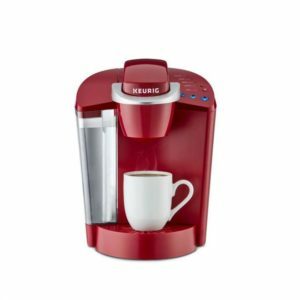 Our coffee maker is a standard machine that brews a pot or a single cup at a time and we’ve had it for years, but some moms may prefer a single serve brewer like a Keurig. We also have a French Press (when you want to really taste coffee!) and during the holidays I make my own Cappuccino and coffee mixes that you could also make and give as gifts. One of the best gifts my hubby has given me was on my birthday this past year – he told me to take the day off work because he had a surprise for me. He took me to a local winery and when we returned home a few hours later, the house had been magically cleaned! He has surprised me with house cleaning services on other occasions but you could also give a gift certificate and let her choose when to have the house cleaned. Many busy moms wish they could hire cleaners but don’t like to spend the money on something they can do in few hours. If you want to really splurge, buy her 6 months or 12 months worth of cleaning services! Just like house cleaning, many moms would love to hire a professional organizer to declutter their homes or organize certain spaces. As a professional organizer, I have helped many moms organize their homes including new moms and moms that aren’t sure the best organizing systems to create. Go HERE to find a local professional organizer in your area. All women love shopping but many busy moms don’t have the time or money to buy new wardrobe items every season. Stitch Fix is a perfect solution for moms who like to stay fashionable but don’t have the time to go shopping. It also allows her to try something she wouldn’t have necessarily bought for herself. Grab a Stitch Fix gift card HERE. Every busy mom needs at least one functional handbag for those everyday mom items. Make sure the handbag is stylish and durable as well. My favorite handbags are this one, this one, and also this one for running errands. A basic black, beige or cognac colors are classic and will go with anything in her wardrobe. A functional handbag is one that has organizational pockets that she can easily find her keys, phone or kids items. I couldn’t live without my slow cooker but then I received an Instant Pot and making dinner has never been easier! 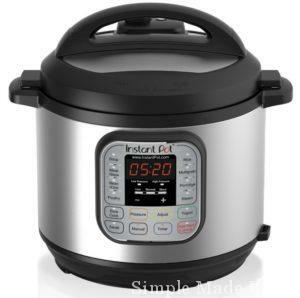 We use the instant pot at least 3 times a week and it’s a time saver! Every busy mom needs a slow cooker/Instant Pot and go-to slow cooker and Instant Pot recipes. We’ve had an Amazon Echo since it was released and it is a life saver when it comes to keeping our family organized. We use our Echo to order dinner (Dominos), check the weather, listen to music, add items to the grocery list, listen to audiobooks, listen to the news, and much much more! I love ours so much that I wish I had one for the car! We’ve bought the Amazon Dot for several friends and family members because we love it so much. 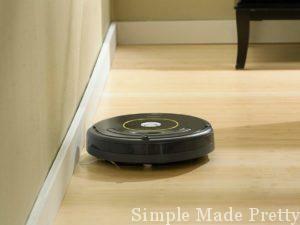 Our Roomba floor cleaner is wonderful for keeping our hardwood floors and carpeted floors clean every day. We have a Dyson upright for deep cleaning, but the IRobot keeps the house clean consistently. If you have pets this vacuum will be a lifesaver for mom. If you can’t invest in house cleaners, at least invest in an IRobot vacuum. We bought our KitchenAid Stand Mixer before we had kids during a Black Friday sale and I can’t imagine cooking or baking without it! The whip can make homemade whipped cream in a few minutes (we used to beat the cream by hand and takes forever!). I’ve also used to whip to make all-natural whipped body butter! That’s right, you can use it for more than just food! 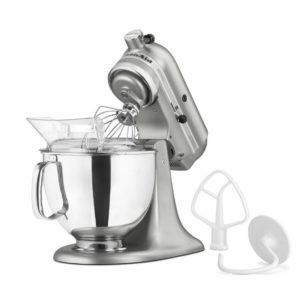 We’ve tried different attachments with our mixer and my all-time favorite attachment is the Spiralizer attachment. I use the attachment to peel and slice apples and potatoes and the spiralizer is great for making beet noodles, zucchini noodles, curly fries, and much more! Every busy mom needs a good blender to make different things from smoothies, soups, and shakes. 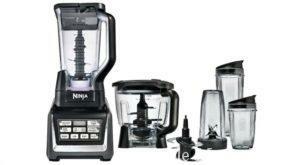 I love my Ninja Nutri Blender System and use it every day to make breakfast smoothies for myself and the hubby. The Nutra cups are perfect for those busy mornings and you need to take your breakfast on-the-go. The Ninja Blender System also comes with a food processor and a high-end blender pitcher that can blend just about anything. 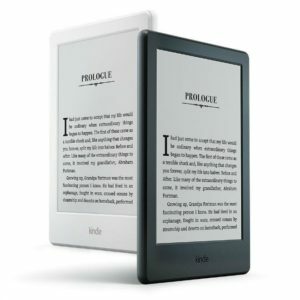 Busy moms that want to read eBooks or non-audible books should invest in an E-Reader to reduce the amount of clutter in the home and make it easy to transport several books. I love my Kindle and use it for recipes and various other eBooks that are not available in audio format on Audible. 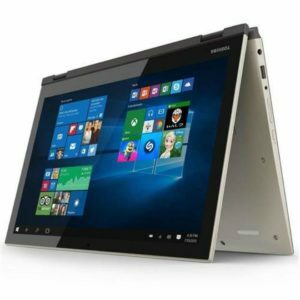 I invest in a new laptop at least every 4-5 years so it may be time for a new one for mom. She may prefer a tablet over a laptop or you could get a tablet/laptop combo like mine HERE (which I love btw!). Help mom stay up to date with the latest and greatest cell phone. A new iPhone or Android comes out every year! A mobile phone also comes in handy when mom needs to occupy the kids at the grocery store! A smart watch provides mom with technological needs right on her wrist. I don’t own a smart watch yet… I’m pretty picky since this past year I went through 5 FitBits since each one had a different issue in less than a year of purchasing it. 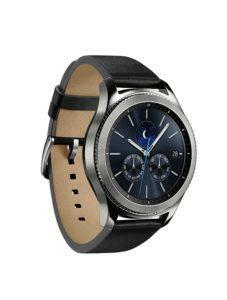 I think the AppleWatch is beautiful, however, I don’t own any Apple products so I would consider the Samsung classic watch with a white band (you can get any watch dealer to replace the band). I’m not talking about online college courses, but classes for a craft or hobby she is interested in learning more about. 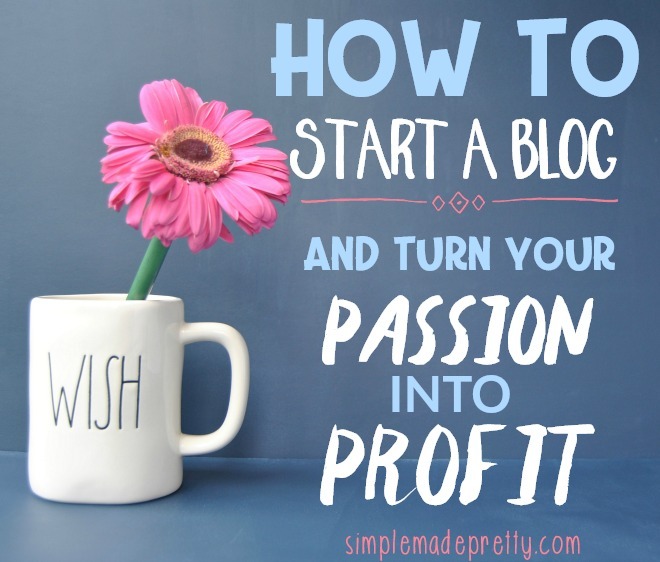 I always wanted to start quilting for example so I signed up for a class on Craftsy. I have lifetime access to the videos which show me step by step instructions for how to make a quilt. 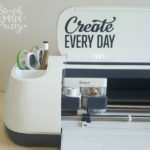 Craftsy has many other classes that she may be interested in such as photography, gardening, baking, jewelry making, sewing, paper crafting, embroidery, wood making, weaving, water-coloring, pen and ink art, and much more! When was the last time you took family photos? I’m not talking about a photo session at your local department store. I’m talking about hiring a private photographer and having some unique family photos taken. You should be able to come up with at least one (if not many) useful gifts for the busy mom in your life after reading this post. If you’re a mom, share this post with loved ones that want to shower you with gifts! Haha, yes, I think many moms would agree with you!